Used 2017 Ford Escape SE AWD for Sale in Littleton CO 80120 JFR & Associates, Inc. This 2017 Ford Escape Is The Acknowledged Pacesetter In A Small Crossover. If you are shopping for a smaller crossover with style, a spacious cabin and respectable gas mileage — then this might be the perfect vehicle for you. This Escape offers reasonable mileage with strong acceleration (it never lacks power when you need it most) — and it's priced under $20,000 with all-wheel-drive. You'll find the AWD system can take you where ever you need to go this winter and get you back home safe and sound. You'll like the way the seats provide for all-day comfort for those longer trips. Overall this Escape provides a sweet comfortable ride experience, that is quiet and enjoyable. This vehicle is easy to get in and out of without any struggle. It's also easy to park and maneuver in the city and around town. If you've been waiting for the right SUV, you don't have to wait any longer. 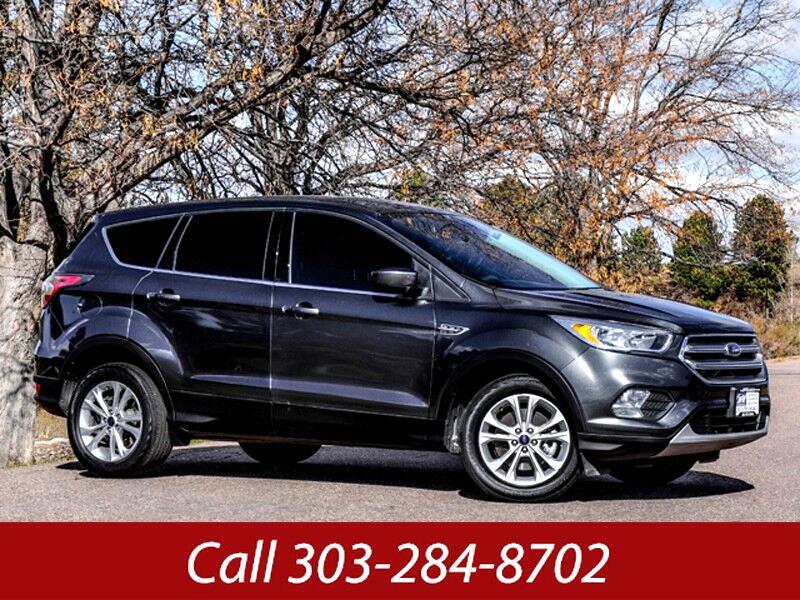 Call and set up a test drive so you can experience how well this Escape handles and drives.